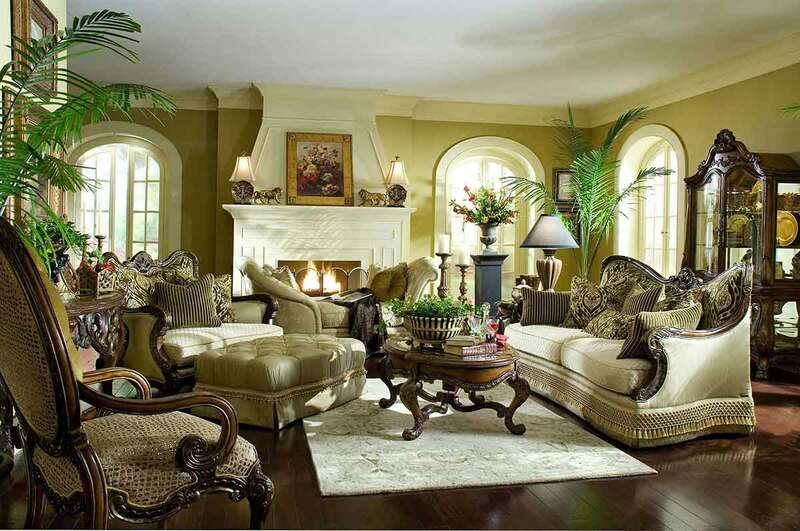 The upholstery features multiple fabrics mixed with metallic leather, and includes several unique pieces including a sweetheart chaise. 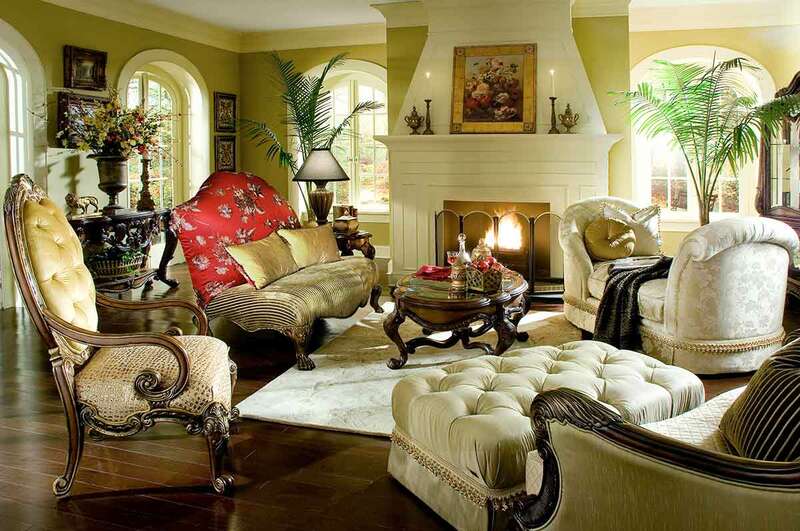 The gentle inverted shape of the sofa compliments the carved wood and glass oval cocktail table. 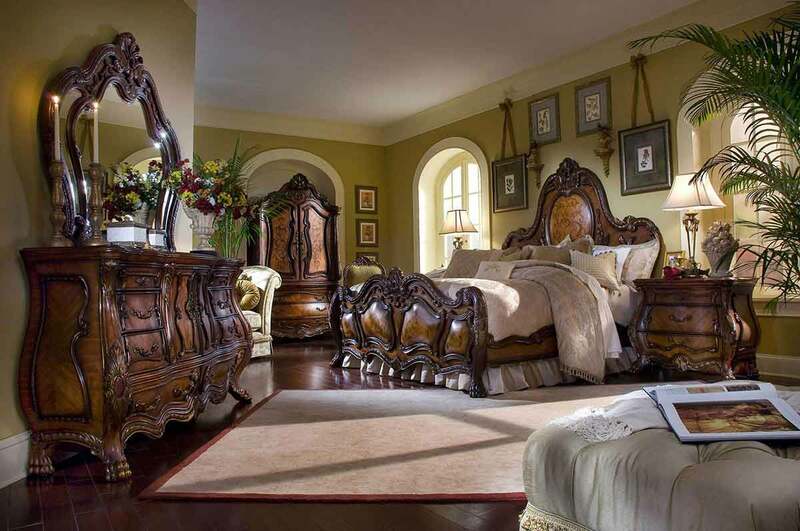 The bedroom group showcases a mansion bed with unique pillowed wood headboard and footboard, and dresser with bombe styling. 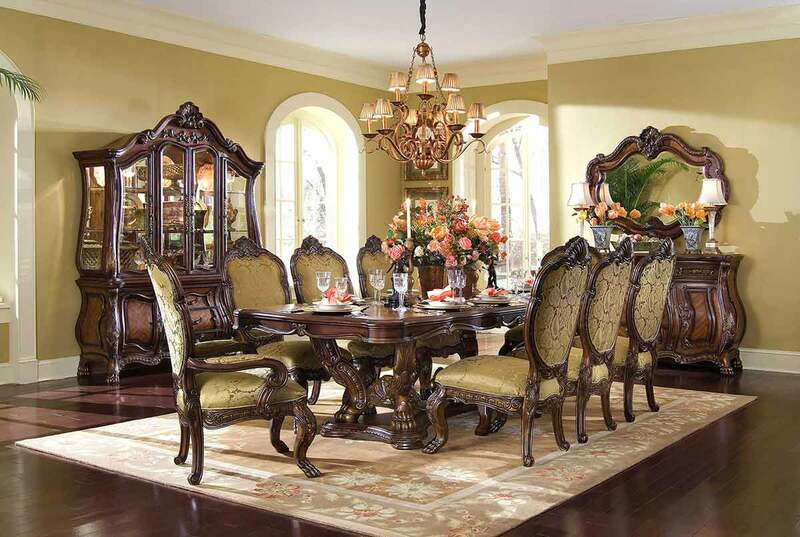 The dining room boasts a trestle base rectangular dining table that can extend for any occasion, and detailed marquetry with a botanical feel. 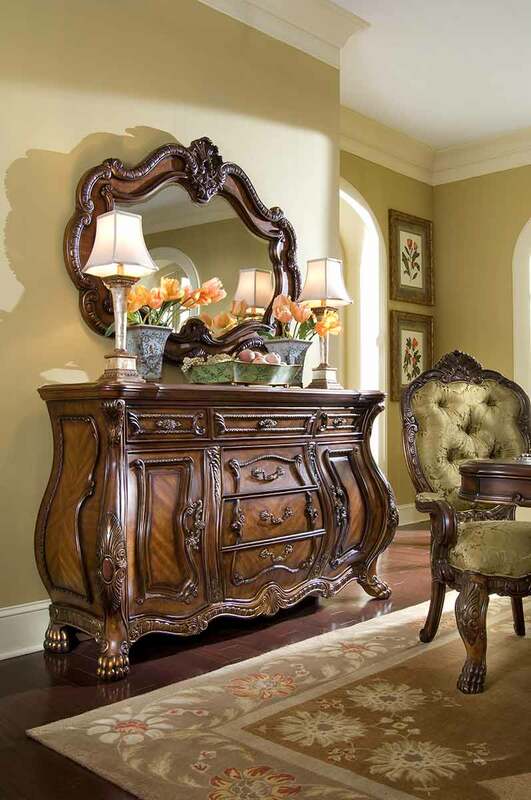 Like its predecessors, this Rococo styling contains lighter elements, with plenty of curves, and natural, intricate patterns. 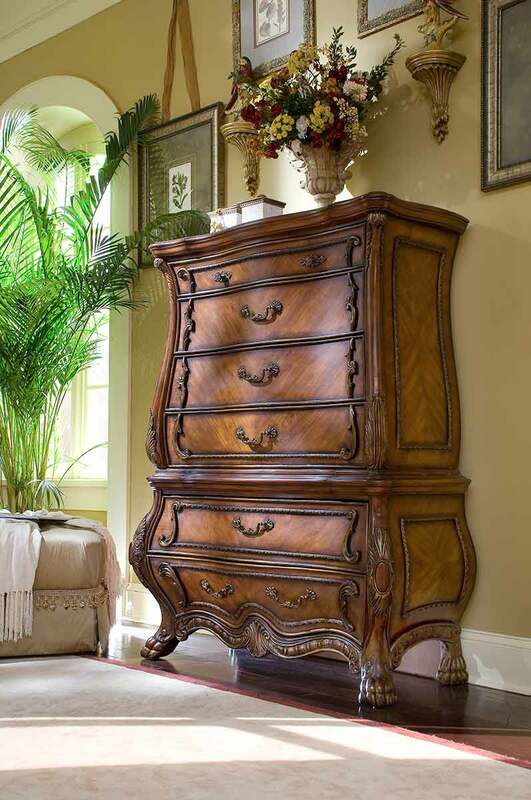 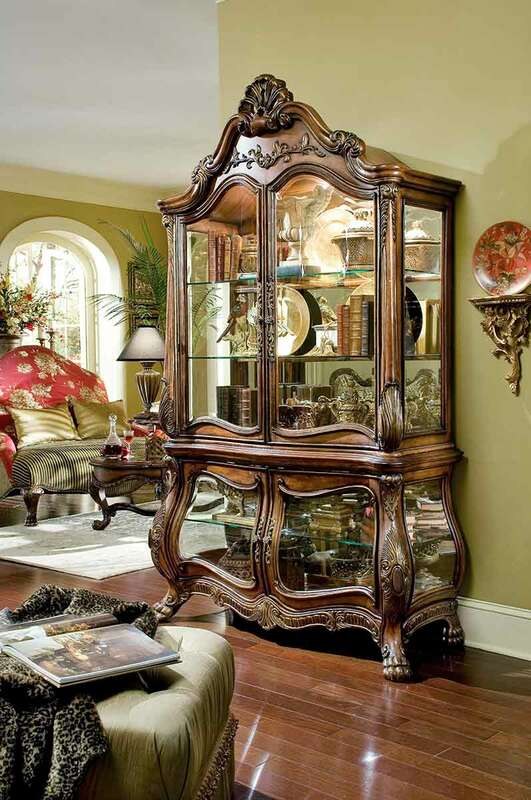 It is scaled and proportioned to suit any home with impressive elegance.